With Marley Natural, Willie’s Reserve and Leafs by Snoop serving as pioneers early in legalization, star-backed cannabis brands blossomed this year. Several Colorado cannabis businesses have staked out partnerships with entertainers of all stripes. Among the new goods in legalized states: Wiz Khalifa and Sublime with Rome rolled out pot products; Tommy Chong debuted his “high grade medical” collection; Willie Nelson’s brand dropped in Washington and Colorado shops; and just this month, Hunter S. Thompson’s widow announced plans for a Gonzo brand of cannabis from six strains the writer actually smoked. And not that we’re hoping it’s actually in the works, but whatever happened to Bethenny Frankel’s plan for a Skinny Girl strain? Bill Maher started 2016 off proper, lighting up on “Real Time” for the first time. Since then, MTV’s “Mary + Jane” opened a rush of crappy weed sitcoms with Adam Scott’s “Buds” still on hold at NBC and Margaret Cho’s “Highland” still in development at Amazon. The much-buzzed about “Martha & Snoop’s Potluck Dinner Party” on VH1 lacks the main ingredient of chemistry — getting high together — making it a skip. But the move from Vimeo to HBO for “High Maintenance” makes up for all of the misses (we hope WhoHaha’s “Cannabis Moms Club” follows the same trajectory). Viceland continues to develop some of the best cannabis content around with “Bong Appétit” — it’s been called “the only reality show about weed you need to see” — featuring The Cannabist’s own Ry Prichard. You’ve seen the headlines. You’ve seen the numbers. 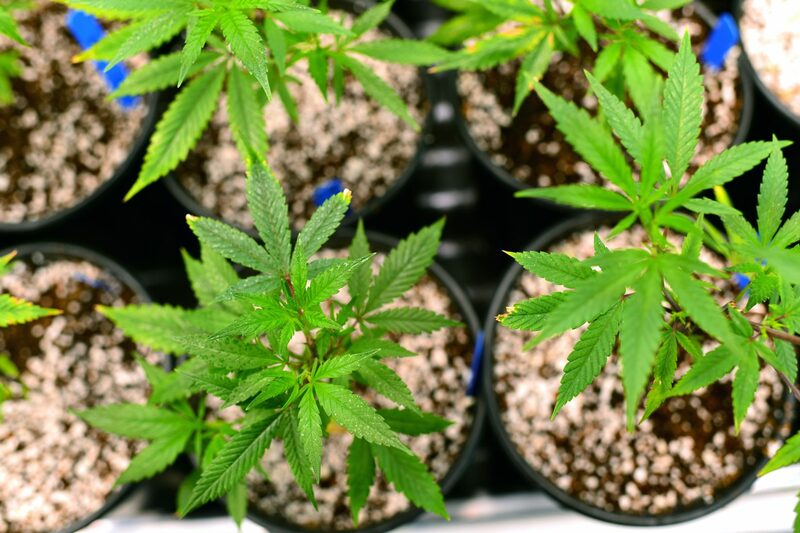 Just three years into legal marijuana sales in America, it is a billion-dollar industry in Colorado alone with projections earlier this year estimating the national market at $7.1 billion in 2016. 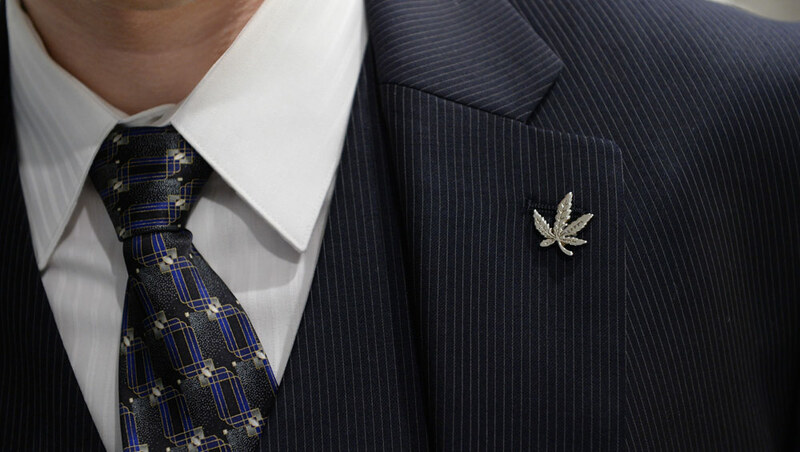 Marijuana is now so entrenched in American commerce that the still-new industry is luring several power players away from corporate life, such as: Tokyo Smoke’s Alan Gertner (Google), Apothecanna’s James Kennedy (Aveda) and Pax’s Peter Bain (GoPro). Ricardo Baca became the world’s first marijuana editor for a major media outlet in 2014 with the launch of this very site, earning him a well-deserved spot on Fortune’s “7 Most Powerful People in America’s Marijuana Industry” this past April. Now the San Francisco Chronicle has followed suit, naming David Downs as its cannabis editor in October. Leafly and High Times also made high-profile hires, adding Bruce Barcott as deputy editor and David Bienenstock as head of content, respectively. From the launch of Merry Jane, Sensi Magazine, Mary Magazine and more … it’s a high time for cannabis journalism. The Maureen Dowd mania of 2014 has taken quite the turn with probably the prettiest edibles we’ve ever seen hitting the market this year. Coda Signature’s truffles are handmade by chocolatier Lauren Gockley, who previously held court in the kitchen as a pastry chef at Thomas Keller’s Per Se in New York. Oakland-based Défoncé Chocolatier is one of the first companies to address dosing in every aspect of product design and founder Eric Eslao embraces the coffee concept of single-origin in his ethically and sustainable sourced luxury chocolate. 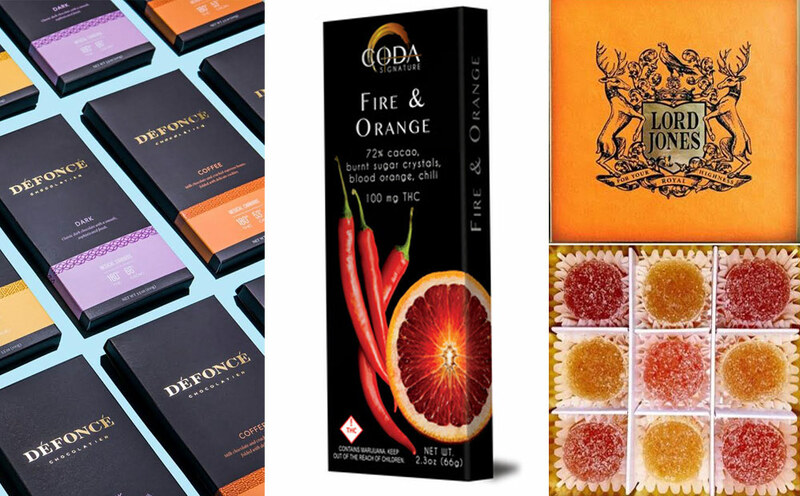 Peter Barsom’s startup, 1906, brings together scientists, chocolatiers and cannabis experts to create a premium line of low-dose chocolate edibles. Lord Jones, founded by Robert Rosenheck, has emerged as a cult celebrity favorite in California (also with an amazing line of topicals formulated by a team of chemists and beauty industry vets in the line). We could keep going, but let’s stop here and hope the new pesky-but-necessary universal THC symbol labeling requirement doesn’t mess with the aesthetic of any of the aforementioned companies too much. At the start of the year, Baca reported on the cornucopia of 420-friendly events in Colorado’s legal era — arty dinners, joint- and sushi-rolling classes, speed-dating happy hours and even bus tours of residential Christmas light displays. 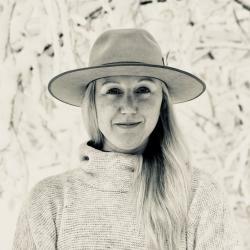 But no entrepreneur had figured out the tricky space of cannabis-friendly events until Kendal Norris emerged in the Boulder scene, and since has solidified herself as a front-runner for creating the most elegant of fine dining experiences with her Mason Jar Events company. 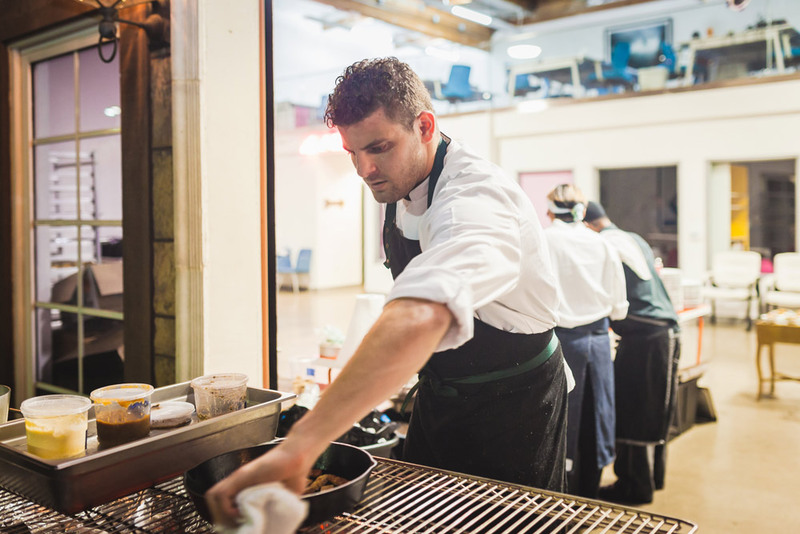 For California foodies, chefs Chris Sayegh and Chris Yang are leading the Los Angeles scene, and chef Miguel Trinidad is hosting super-secret happenings in New York City. Until we have social use laws across recreationally legal states, pop-ups are the best bet over going bar-hopping any day. Followers of high fashion might recall seeing plenty of pot leaves on the runway as part of Alexander Wang’s Fall 2016 ready-to-wear collection during New York Fashion Week and on Margot Robbie during her “Saturday Night Live” monologue in the show’s season premiere. We saw Jenny Lewis take the SXSW stage in the most amazing technicolor weed suit ever. Gigi Hadid and Kendall Jenner helped jewelry designer Jacquie Aiche roll out a new pot-themed collection in Beverly Hills. 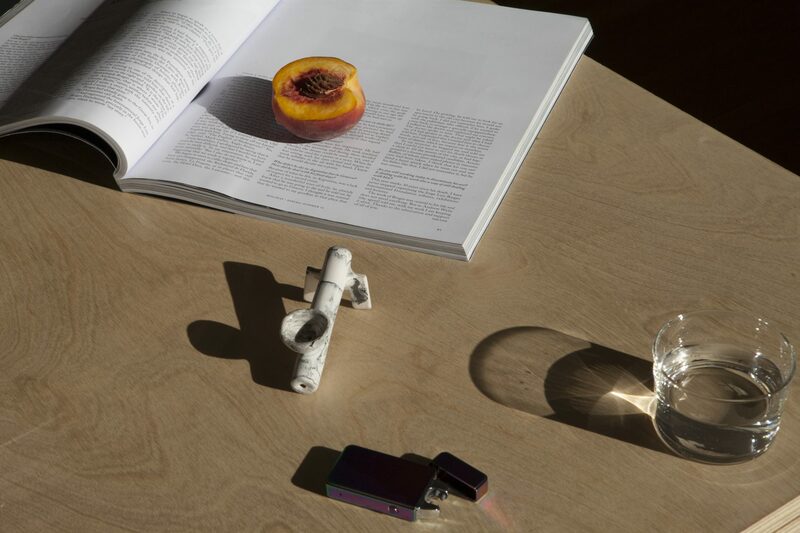 We talked to Complex and Fashion magazine about how weed became one of the biggest trends of the year, although we’ve known it all along: Cannabis can be chic when done right. One of the best things legalization has brought us is an explosion of boutique cannabusinesses that are designing smoking accouterments that actually fit into our lives — not tucked away in a shoebox. The result is a head shop revolution, which is moving from brick-and-mortar to the web, with many entrepreneurs making names for themselves on Instagram. Who to follow? @shopmistergreen, @greyhorsebk, @catchtilly, @tetra_shop, @sweetflag_shop and @vanderpop. And I mean, have you seen our third-annual Cannabist Gift Guide? Keep it in mind for dropping hints anytime. We love to do a lot of things high, but there’s something particularly magical about doing yoga in an altered state of mind. Mason Jar Events (see No. 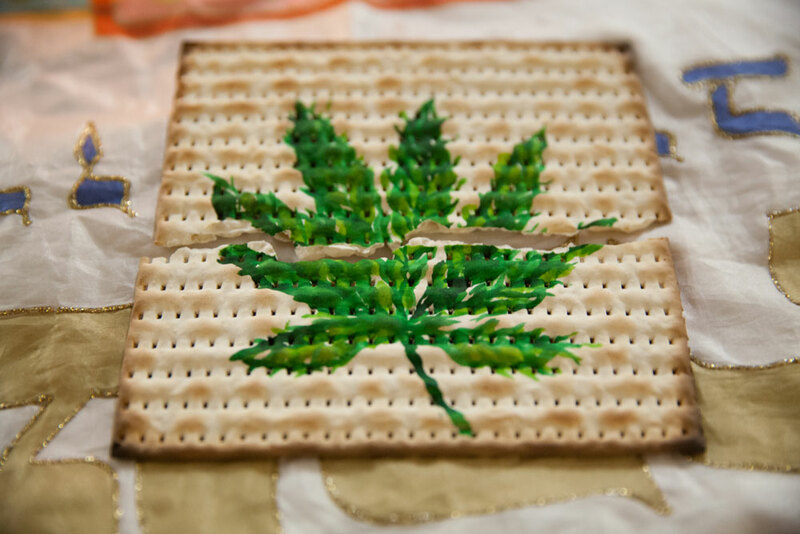 7) threw the ultimate weekend bash, bringing together weed, yoga, friends and a champagne brunch. 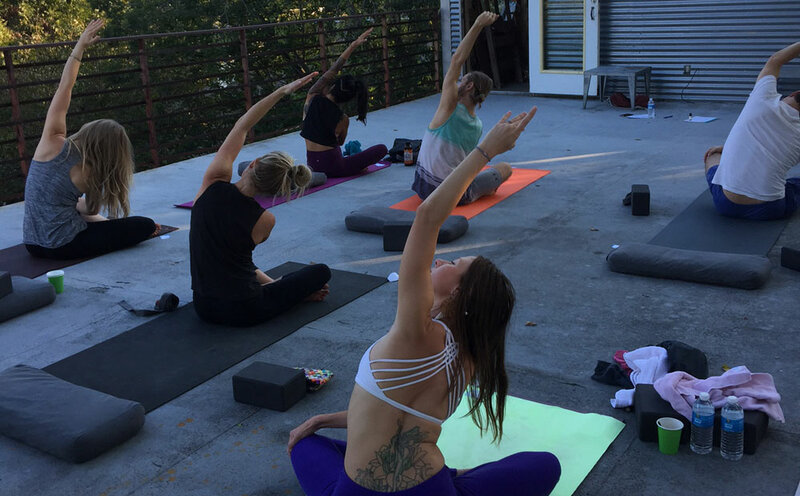 Our Texas correspondent Neal Pollack took his first ganja yoga class in Austin from Kusha founder Harleigh Reynolds (Denver, you can try it for yourself Dec. 30-Jan. 2). Off the mat, cannabis is finding its way into plenty of other workouts and into the gym at Power Plant Fitness — a project in the works from former NFL running back Ricky Williams and snowboard company executive Jim McAlpine in San Francisco. The duo is also behind the 420 Games — an athletic-focused 4.20-mile race, which will grow from six to ten cities in 2017. 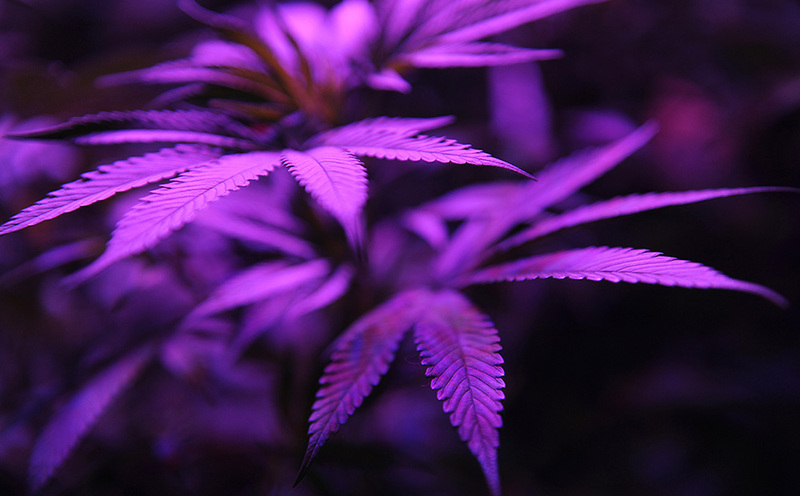 Despite the progress across the country for medical and recreational legalization over the past two decades, the industry has slightly lagged behind when it comes to user experience. 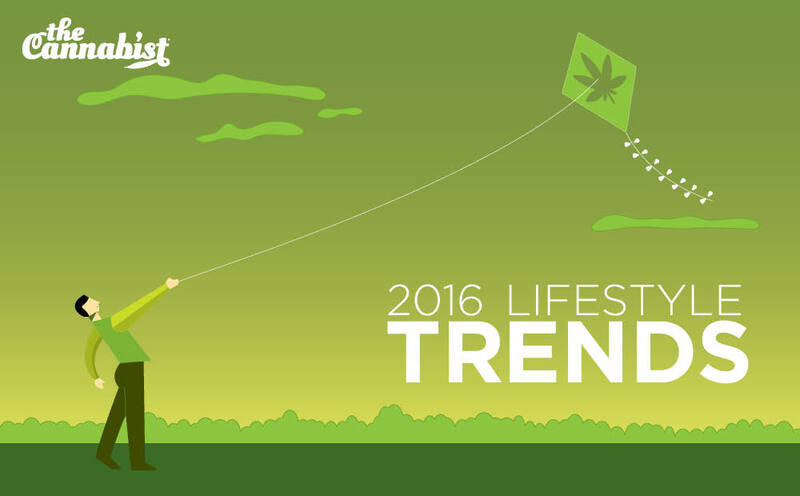 But 2016 was the year for higher design, and as Fast Company notes in their report titled “UX is changing how we get high,” “A handful of marijuana entrepreneurs have already gotten wise to the importance of user-centered design, creating handsome dispensaries, enlisting big-name graphic designers to orchestrate elegant packaging, and building brands that sell experiences versus products.” Pax and Native Roots are leading the charge on this front with a fresh focus toward research and users for the year ahead. Pro athletes who have experienced and witnessed the health benefits of cannabis are ready to rumble, and we’re hopeful the leagues are listening. 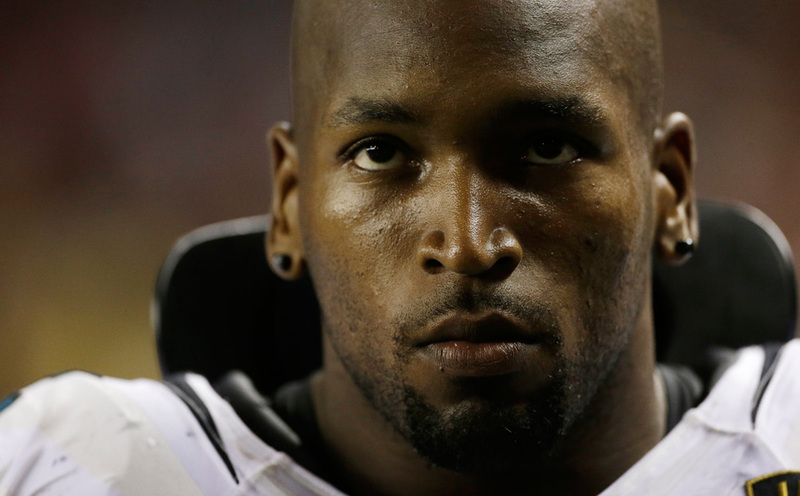 Looking at the NBA, Chauncey Billups and Steve Kerr recently spoke out about cannabis benefits, and in the NFL, former Baltimore Ravens offensive tackle Eugene Monroe has written for The Cannabist about his mission to “get the NFL to accept cannabinoids as a viable option for pain management.” In a survey of 226 of the NFL’s nearly 3,000 players on active rosters or practice squads, ESPN The Magazine found that 61 percent believed that players would take fewer injections of strong anti-inflammatory drugs such as Toradol if they could treat pain legally with marijuana. Former NFL wide receiver Randy Moss says medical marijuana “definitely should be in our game” and the NFL players union is in the beginning stages of developing a pain management committee. Meanwhile, former players actively campaigned to raise money and awareness for cannabidiol research. Pesticides remain a hot topic — from decimating wildlife to Scotts Miracle-Gro pumping $500 million into the industry to corner the market. Enter Colorado’s Organic Cannabis Association, which developed a pesticide-free certification program this year. “We are well past time to bring basic transparency and safety like we have in food into cannabis, and we intend to do that both with our pesticide-free certification and an organic standard,” says OCA founder and board chair John-Paul Maxfield. “We will be running a bill next year that will allow official organic certification next summer.” Amy Andrle of L’Eagle, a Denver retailer and grower, also serves on the association’s board and tells The New York Times, “As pot consumers are becoming more sophisticated, there’s nothing like the value of a third-party certifier to give growers a marketing edge.” Sounds like 2017 might just be the year we see a Whole Foods for weed. Recreational legalization brought the first wave of 420-friendly weddings, but the world’s first cannabis-centered wedding expo in January made it official — and a lot easier to plan a modern-day themed affair featuring cannabis. 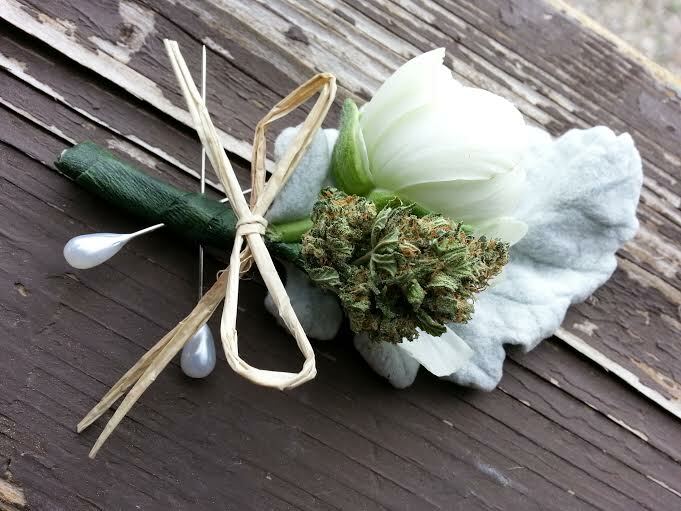 As we start to see an increase in social acceptance, weed weddings in Colorado are sure to continue to rise. Now, the “Airbnb for pot smokers” has teamed up with Denver’s Love and Marij, hoping to corner the emerging market for bud-loving brides and grooms. Maybe Jason Sudeikis and Olivia Wilde will tie the knot sooner than they say? 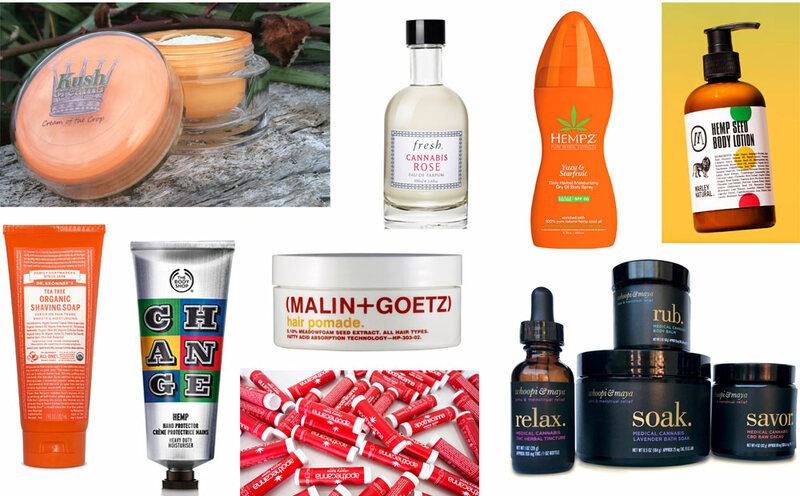 The healing benefits of cannabis and hemp when used in beauty products are no secret, with big-name brands like The Body Shop and Dr. Bronner’s using it as an ingredient long before legalization. And while it seems like “cannabis beauty” was suddenly everywhere in 2016 (Milk Makeup’s Roll + Blot papers are a clever addition), it’s nothing new, with Eastern cultures using the effective ingredients for hundreds of years. In a March report from Eviana Hartman for Vogue, she talks with Ah Warner, the activist founder of Washington-based bodycare line Cannabis Basics who is confident the plant compounds cover everything from “anti-inflammatory, anti-spasmodic, analgesic, cell-regenerative, and anti-cell proliferative for bad cells.” Now we just need modern research to catch up with the long history of therapeutic cannabis use. We tried countless products over the past twelve months and rounded up our favorites for the bathroom, along with some that might surprise you. The Eureka Times-Standard’s Will Houston wrote in October: “When thinking of marijuana concentrates like hash and dabs, visions of exploding makeshift labs, piles of charred butane cannisters and burn wounds may come to mind for some. For others, cannabis concentrates represent a diverse subculture within the marijuana community that can provide medical benefits to patients that can’t be obtained through smoking flowers or eating certain edibles.” With the movement well underway in Colorado, this segment of the industry is one of the fastest-growing markets as more and more users learn about concentrates and more and more companies introduce vaporizers — both high-tech and basic — to meet the demand. Traditional dab rigs aside, our resident vape critics Ben Livingston and Chris Thomas are thoroughly analyzing new vapes of all sizes and shapes to keep you in-the-know. Updated Jan. 3, 2017 at 12:27 p.m. The following corrected information has been added to this article: Because of a reporting error, this story has been updated to note Alan Gertner previously worked for Google before joining Tokyo Smoke.